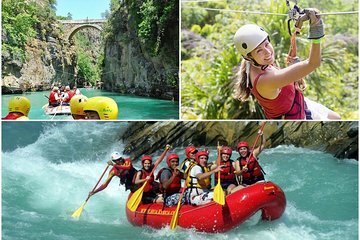 On this tour of Koprulu Canyon in the Taurus Mountains, you’ll combine rafting, hiking, and ziplining in just one tour. Safely brave the canyon’s white waters, hike gorgeous trails, and challenge yourself by soaring on a zipline 26 feet (8 meters) above the water. Your entire day of sports adventures is hassle free, as all equipment, lunch, and round-trip hotel transportation are included.